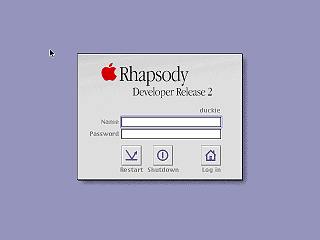 Apple Rhapsody is a very early development version of MacOS X. Rhapsody is based on OPENSTEP, which is based on NeXTStep. 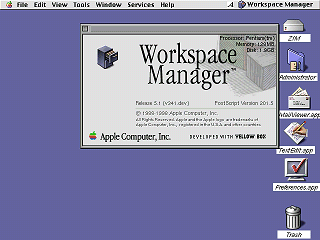 MacOS X was first released as MacOS X Server, which did not have the Aqua GUI. 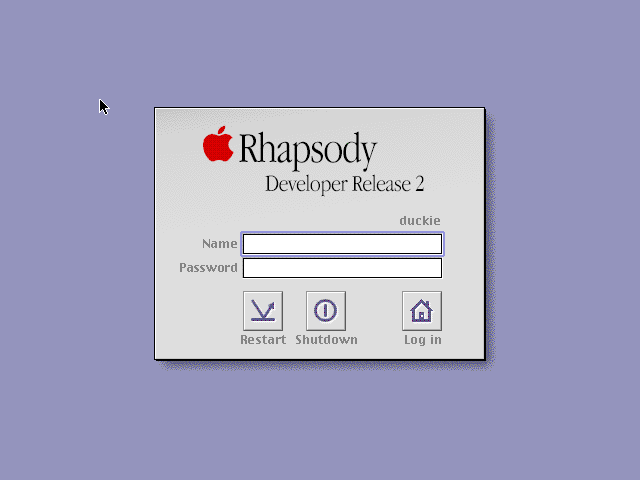 The original MacOS X Server looked very much like these Rhapsody screen shots. 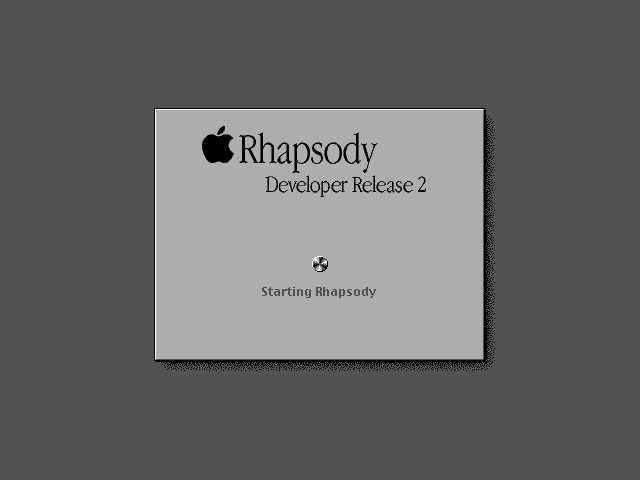 Rhapsody DR 2 booting up. No, the "processor type" shown in this screen shot is not an error, this is really running on an Intel Pentium based PC. NeXTStep 3.x was ported to the Intel x86 / PC platform when NeXT tried to change their focus to purely software, thereby dropping their proprietary hardware. 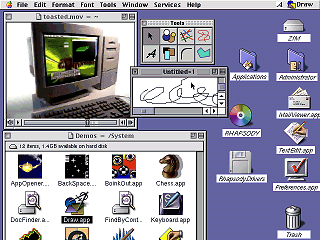 OPENSTEP which followed was also available for the x86 PCs. 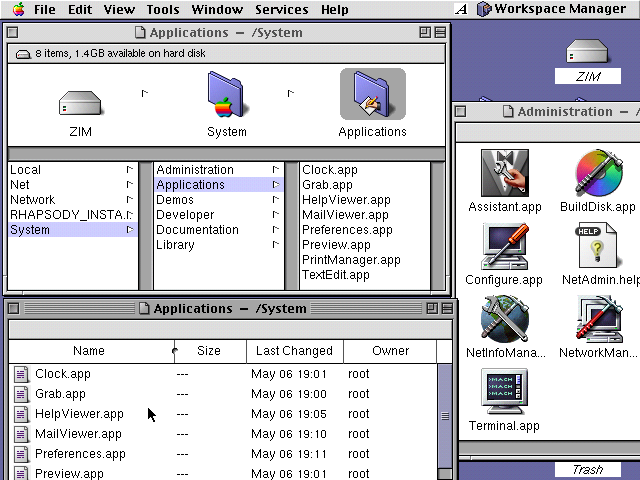 Finally, for whatever reason when Apple started using OPENSTEP as the basis for their new version of MacOS they maintained a PC version for some time. After Rhapsody DR 2, however PC support was dropped. 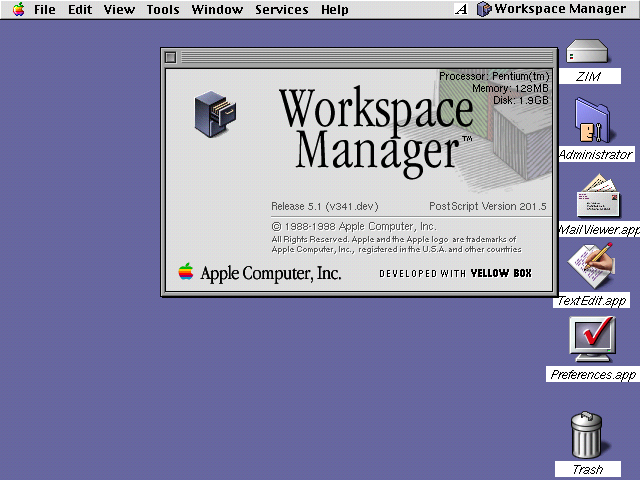 As shown here, the Workspace Manager has three different views, Columns, Icons, and List. Menus can be torn off from the menu bar. 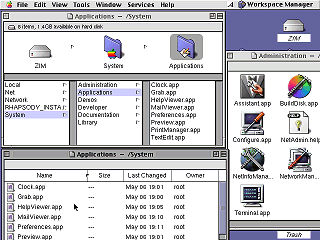 There are also a variety of appearance, windowing and GUI options. There is a Quicktime movie player included. 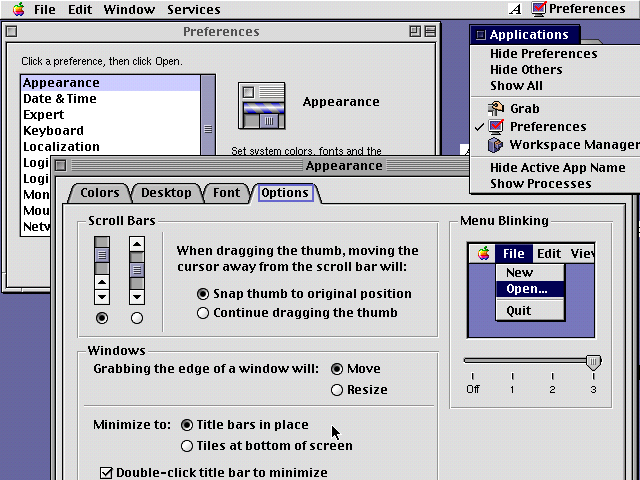 A drawing application is also shown here. 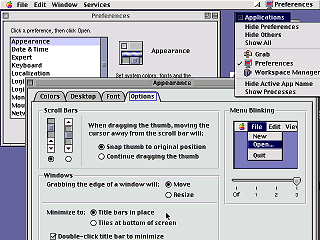 To access a PC floppy disk the OS must be told to scan for disks from an option in the menu before the disk can be used. CD-ROMs, however just pop on to the desktop when inserted, and eject when dragged to the trash.